The Greek historian Herodotus mentions Gandhara as one of the most populous and wealthy provinces of the Persian Empire. The capital of Gandhara, Taxila, was a center where the Vedic (ancient Indian) and the Iranian learning and customs mingled. In 327 B.C. Alexander of Macedon conquered this land during the war against the Persian Emperor Darius. This campaign began a long period of political control of the area by the Indo-Greek kingdoms and of commercial and cultural exchanges with the Mediterranean world and Asia, which lasted for centuries after the decline of the Indo-Greeks. Rafique Khan is an Indian musician and composer who plays the sitar. He belongs to the sixth generation of musicians from the Dharwad Gharana. His father, the late Ustad Abdul Karim Khan was a distinguished sitarist at his time, and his grandfather who was awarded the ‘Sitar Ratna’, Rahimat Khan was accredited for adding the base octave to the sitar and for modifying the three-string sitar to the seven-string instrument that is common today. Khan is the younger brother of Ustad Bale Khan and Chhote Rahimat Khan and has a twin brother, Ustad Shafique Khan, also a sitarist. Born in Dharwad, he started playing the sitar at the age of nine. He was tutored by his father and his elder brothers Ustad Usman Khan and Ustad Bale Khan.He was also trained in Gayaki Ang by his uncle Ustad Dastagir Khan. He passed his music exams from Gandharva Mahavidyalaya, Mumbai and graduated with a degree in philosophy at the University of Goa. Rafique Khan won the prestigious “Sur Mani Award” from Sur Singar Samsad, Mumbai, at the young age of 23 years. He is also an empaneled artiste of the Indian Council for Cultural Relations. 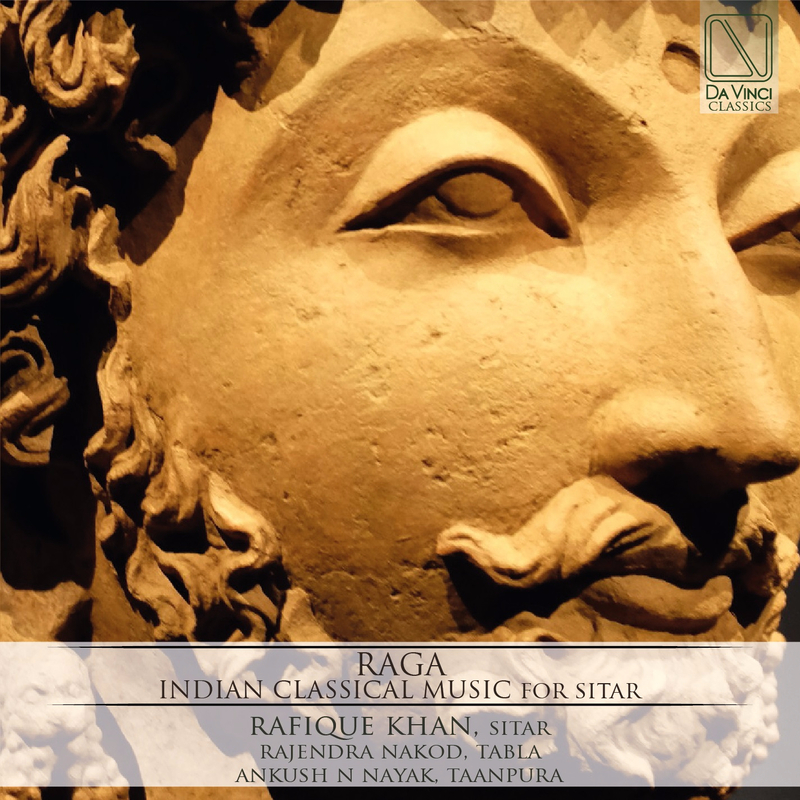 Rafique Khan has toured across the nation and the world, performing at various music festivals. He has been rated as a ‘top-grade’ artiste by All India Radio and has had four of his recitals aired on their national programmes. He has performed at prestigious music festivals and collaborated with musicians all over the world including Europe, the Middle East and South East Asia. One of the unique characteristics of his playing is that he preserves the purity of the Raga and maintains the balance of the two mixed styles in Gayaki Ang (Vocal style) and Tantakari Ang (Instrumental style). His self-discipline and devotion to music is evident in the fact that he has mastered the Gamak Taans, which is considered to be one of the most difficult techniques on the sitar. His command over the fingerboard is exemplary. The music that he produces is pure melody. Audiences are enthralled by the movements of his nimble fingers on each note he plays. Khan, Rafique (Sitarist) is an Indian musician and composer who plays the sitar. He belongs to the sixth generation of musicians from the Dharwad Gharana. His father, the late Ustad Abdul Karim Khan was a distinguished sitarist at his time, and his grandfather who was awarded the ‘Sitar Ratna’, Rahimat Khan was accredited for adding the base octave to the sitar and for modifying the three-string sitar to the seven-string instrument that is common today. Khan is the younger brother of Ustad Bale Khan and Chhote Rahimat Khan and has a twin brother, Ustad Shafique Khan, also a sitarist. Born in Dharwad, he started playing the sitar at the age of nine. He was tutored by his father and his elder brothers Ustad Usman Khan and Ustad Bale Khan.He was also trained in Gayaki Ang by his uncle Ustad Dastagir Khan. He passed his music exams from Gandharva Mahavidyalaya, Mumbai and graduated with a degree in philosophy at the University of Goa. Rafique Khan won the prestigious “Sur Mani Award” from Sur Singar Samsad, Mumbai, at the young age of 23 years. He is also an empaneled artiste of the Indian Council for Cultural Relations. Rafique Khan has toured across the nation and the world, performing at various music festivals. He has been rated as a ‘top-grade’ artiste by All India Radio and has had four of his recitals aired on their national programmes. He has performed at prestigious music festivals and collaborated with musicians all over the world including Europe, the Middle East and South East Asia. One of the unique characteristics of his playing is that he preserves the purity of the Raga and maintains the balance of the two mixed styles in Gayaki Ang (Vocal style) and Tantakari Ang (Instrumental style). His self-discipline and devotion to music is evident in the fact that he has mastered the Gamak Taans, which is considered to be one of the most difficult techniques on the sitar. His command over the fingerboard is exemplary. The music that he produces is pure melody. Audiences are enthralled by the movements of his nimble fingers on each note he plays.